Is there a system behind phrasal verbs? Yes! The trick is to think about and understand the meaning of the preposition. Phrasal verbs become logical and predictable when you are familiar with the different meanings of prepositions so watch out for similar patterns. 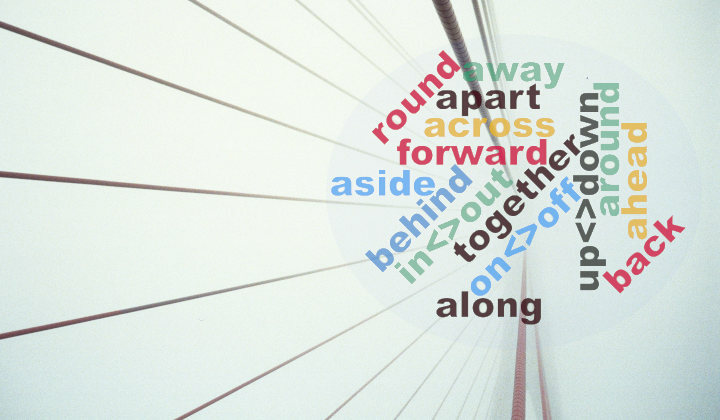 All prepositions have a literal meaning: up and down , in and out , on and off , through , away and so on. They also have figurative or idiomatic meanings that are a bit different from what you would expect. They are not physical, they're abstract. They're concepts based on the original meaning of the preposition. For example, when we say Please put out your cigarette, the preposition out is not used with the literal meaning of outside but with the figurative or idiomatic meaning of ending. These meanings follow a logical pattern shared by many verbs and used intuitively by native speakers. From time to time, these patterns of meaning are used in new phrasal verbs. Learn these figurative meanings of prepositions and phrasal verbs will gradually sound more logical and much easier to use. Bear in mind that sometimes you'll come across exceptions, irregularities or inconsistencies. You might wonder why some verbs don't seem to follow that logical pattern you've just learnt. You'll have to live with that as that is the nature of language in general and very often usage, the way learners use language, is as important as logic or literal meaning. Understand the logic of the preposition: Out sometimes means ending. Learn a good example: Please put out your cigarette. 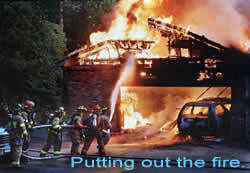 Remember a couple of collocations: you can put out a cigarette, a fire, the flames. Be aware of the grammar: you can separate it. 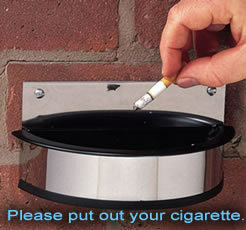 You can say put out your cigarette or put your cigarette out. You should avoid lists of the same verb with all the prepositions: put away, put by, put across, put down, put in, put on, put out and so on. This creates confusion because they all mean different things. You may find this in many books, but there's no logic, nothing to help you learn the verbs. It's just a silly list of unrelated verbs that you will soon forget. The exception to this is when the meaning of the verb doesn't change: move in, move out, move away. As yo can see, move means the same. Go and live somewhere.